We are squarely into the dog days of summer. Those of us in New England are soaking them up while we can. Although hot temperatures and clear skies can often mean tough days on the water, that doesn't have to be the case. In fact, a little planning can produce epic days this time of the year. 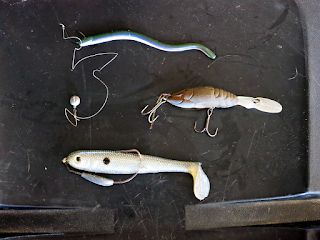 Below, I will talk about 3 different scenarios that are prime for summer fishing, as well as 6 baits that really produce during the late summer - both here in New England and around the country. This is a bit of a no brainer. Low light conditions and cooler temperatures equate to more active fish. And for me, there is no better way to fish early and late than with topwater. I often rig three topwater baits and a throwback bait (a finesse worm for fish that miss topwaters) in these situations, with prime fishing windows typically occurring from approximately an hour before first light to 8 AM in the morning and an hour before dusk to well after dark in the evening. Granted, this may vary from location to location. 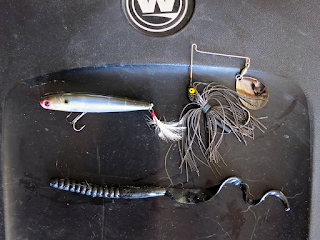 Although I rig topwaters that excel in different situations, such as in open water, through thick weeds, or around wood, my favorite morning and evening bait is a walking bait thrown in fairly open water. By fairly open, I mean that there are no major obstructions, so this may be over a submerged weed bed, along a rip-rap wall, through an eddy, or various other places. My go-to open water bait is a Lucky Craft Gunfish in a natural shad color. It can walk, spit, or both, which makes it very versatile and hard to resist, especially when worked at various speeds. My 2 choices and runner-up for early and late fishing. The dog hair on the worm adds some extra action too. Another bait that can really produce in low light conditions is a New England staple - a large profile black spinnerbait with a single Colorado blade. 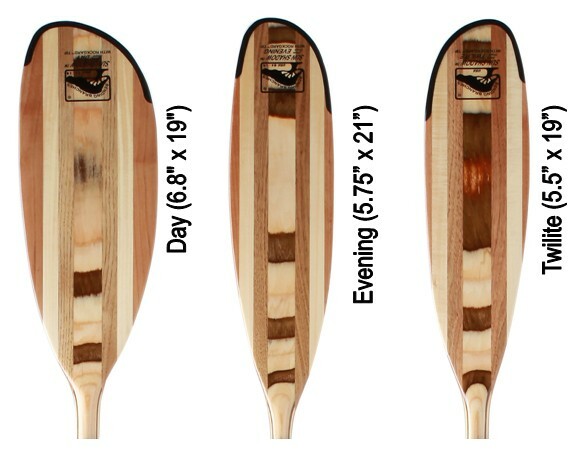 The black silhouette can mimic numerous types of forage in low light conditions and the blade puts off a vibration that virtually calls the fish to it. I prefer to fish it around submerged weeds or wood cover, and again vary the speed of the retrieve. The black ribbon tail worm gets my honorable mention nod early and late. Fish seem to key in on the worm color and tail action, especially when fished around targets - such as docks, wood, etc. I prefer at least a 7.5" worm, sometimes going up to 12". I Texas rig the worm on a 4/0 or 5/0 Gamakatsu EWG worm hook below a 1/4 or 3/8 oz tungsten weight and fish it fairly slow. You will want to use a sensitive rod and line, because some bites can be tough to detect in the dark. Mother nature isn't out to get us entirely when the weather gets hot and sunny, she just slows us down a bit. Checking the forecast is key before you hit the lake. The three big things I look for are clouds/sun conditions, wind, and extreme weather. I actually don't mind fishing on sunny days, or even bluebird days, as long as I have some wind. On those days, I focus on the windiest parts of the lake, where bait tends to be the most active. I may use a variety of baits, but one of my best late summer producers here in western Massachusetts is a swim jig. The swim jig is very versatile and can be effectively fished nearly anywhere. The majority of the time, I am throwing a 1/4 oz to 3/8 oz swim jig in a natural color - green, brown, black, or some mix. I prefer it to look like a perch or sunfish. 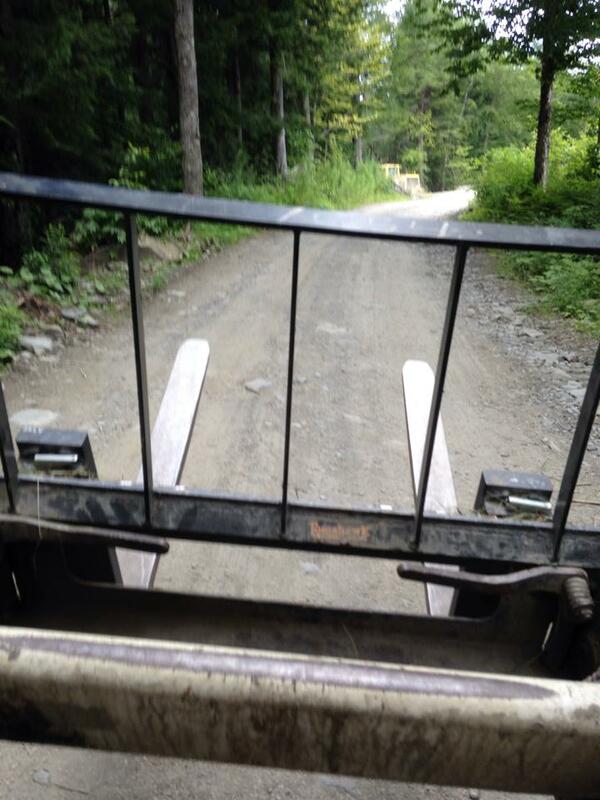 I then use a 3.5"-4.5" paddle tail trailer to add action. 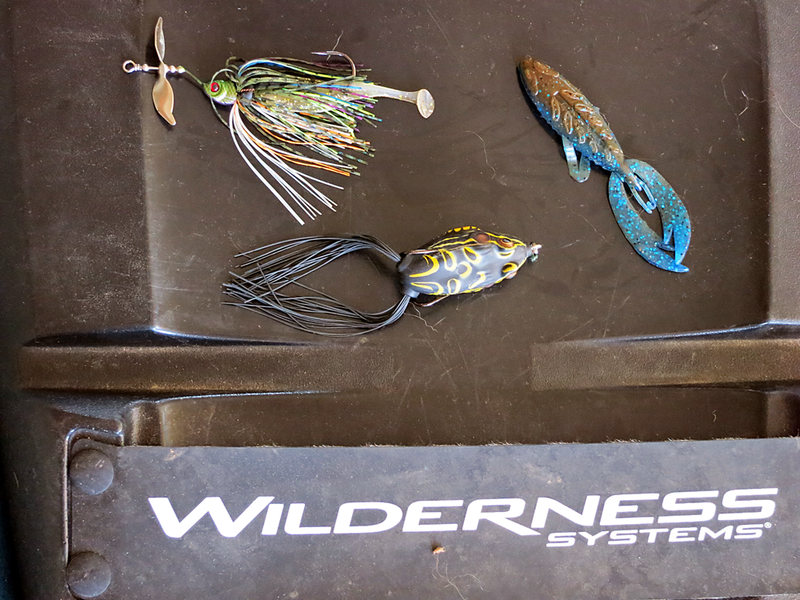 However, I will change up my colors, jig size/profile, and trailer based on conditions and forage. My favorite way to fish them is through grass, however I will also crawl them along rocky banks or around wood at times. There will undoubtedly be days when the wind dies down and it gets hot. In those instances, key in on shade. Docks, weed beds, boulders, and logs all form prime shady habitat. In those situations, I often like to flip and pitch a beaver or creature bait that mimics a sunfish. Sunfish are drawn to those areas as well, and bass are always lurking close behind looking for any easy meal. My bait of choice is the Big Bite Baits Fighting Frog, which I Texas rig with a 4/0 Gamakatsu EWG worm hook fished below a 1/4 oz tungsten weight. The key is soft, accurate casts that gently fall or skip into the water, because bass will be spooky when conditions are calm. My honorable mention here is the hollow body frog. 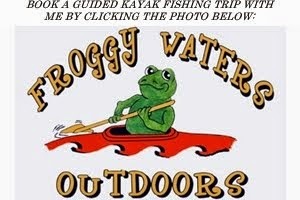 Frog fishing takes practice and confidence, but you can often get frog bites all day when fishing heavy cover. Not only are these strikes extremely fun, but frogs often produce better quality fish than other techniques. I keep my frogs simple and almost only fish black or white colors. In sunny conditions, I throw the frogs to the heaviest cover I can find. I start by working them slowly, with multiple pauses, while focusing on walking them and making them look natural/edible. I may speed them up depending on the temperment of the bass that particular day. When frog fishing, the key is to wait a few seconds before setting the hook. One common tip is to slowly spell out the word "frog" before you set the hook. This time lapse allows the fish to completely engulf the bait, increasing the chances of the hook landing in the mouth upon hook set. 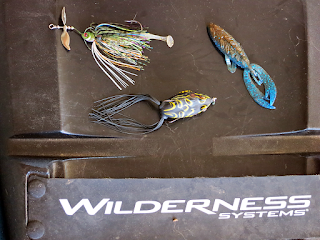 However, you will eventually miss some fish, so I also always have 1 or 2 throwback baits ready (1 weightless finesse and 1 that can punch heavy vegetation). I throw my frogs on a frog specific rod and use 60 lb braided line. The rod action of a frog rod, combined with heavy, small diameter line, will lead to more hook ups and landed fish. Although I have 3-4 brands of frogs in my box, my favorites are the Deps Basirisky and the Teckel line-up. I have always been a river rat, but these days, I have to drive more than twice as far to get to prime river fishing than I do to prime lake fishing. However, every chance I get or if conditions just aren't right to lake fish, I am headed for flowing water. Most northeastern rivers have plenty of current and shoals, which provide oxygenated water, shade, and great habitat for predation. Although numerous baits can work depending on the river you are fishing, one of my favorite techniques is to find the biggest rapid-eddy combos possible and start working a swimbait. I typically use paddle tail swimbaits to fish current seams, eddys, and even directly in fast water. I rig the baits either on wide gap, screw lock, belly weighted swimbait hooks, swing head jigs, or jighead style hooks and fish them through all levels of the water column and at various speeds. There are numerous swimbaits that can work, but my favorites are the Luck-E-Strike Bass Magic swimmers and Big Bite Baits Cane Thumpers. At times, I may switch to a hard body, jointed swimbait, such as a Spro BBZ-1 or Bull Shad. The key is figuring out the correct speed that the fish are looking for, which may include some pauses and erratic action. Another key can be bottom contact contact - deciding if they want the bait to have none, some, or grind along the bottom. My other go-to for late summer river fish is finesse plastics. I know, I know - that is more than one bait. On any given day, this may include weightless stick worms, 3.5" tubes, 3" grubs, shakey heads, or drop shot rigs. For the sake of choosing one, I will go with the drop shot, because late summer river fishing is when I really built my confidence in the rig. I prefer to fish a nose hooked 4.5"-6" Roboworm about 12"-18" above a 1/8 oz tungsten drop shot weight. You may need to go with a heavier weight if fishing deeper or faster water. They can be fished anywhere, but I love throwing them along current seams and letting the current do the work for you. Essentially, you are just feeling the weight tick along the bottom until you detect a strike, which will likely take some practice. However, you can fish drop shots in any type of water and around any type of cover. If new to the technique, I definitely recommend a YouTube session before heading out. I rig my drop shots on a 6'10" Carolina Custom Rods spinning rod, which is extra light and sensitive. I use an Abu Garcia Orra SX 30 spinning reel spooled with 6 lb or 8 lb P-Line fluorocarbon. With that set-up, you can feel every little pebble on the bottom and detect even the slightest of bites. My honorable mention river bait is the crawfish imitator crankbait. 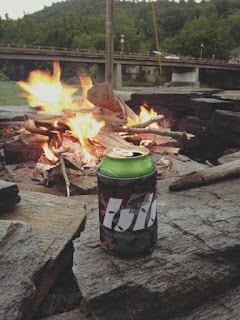 Unfortunately, many of the rivers in my area get very weedy by late summer, and fishing any type of crankbait becomes more of a chore than it is often worth. However, even in small patches of non-weedy rocks it can be lights out productive. Bass, especially smallmouths, will have feeding windows where they gorge on crayfish. I have found that choosing the right crankbait color can be important - such as a natural brown vs red vs orange vs blue tint. However, I believe that action is just as if not more important, and that is why I carry three different types of crawfish cranks in my box. The first are Live Target crawfish cranks that dive around 5-6 feet deep (8-12 feet for the deeper series) and have a fairly wide, squarebill type action. With these, the key is deflections off of the bottom, which create reaction strikes. If they aren't producing, I may go to craw crank #2, an old school Bagley Balsa Craw. Balsa cranks deflect like nothing else on the market, and those deflections can often lead to more bites. I have had days where balsa out fished traditional hard cranks 10:1. 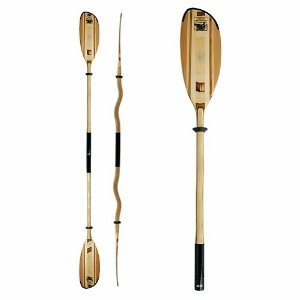 These cranks also have a fairly wide action, which can be ideal in certain conditions and really hunt when fished fast. Type #3 is the Megabass X-Dad. I like this bait because it suspends, has a tight action, and is a bit of a crankbait-jerkbait hybrid (much like the Megabass Flap Slap, another favorite). At times, keeping your lure suspended close to the bottom is the key to triggering more strikes and the X-Dad does just that. Late summer can be a tough puzzle to figure out. But, I strongly believe that these three scenarios can consistently produce fish if approached with patience and practice. You may have your own favorite baits for these situations, and if so, please share them in the comments below. Also, some of these baits may work well in more than one situation above. So, get out of the air conditioning and go suffer through the heat of summer, whether in a bass boat, kayak, wading, or any other form of fishing. After a few bites, you won't be thinking about the temperature anyway. Oh, and don't forget the sunscreen. 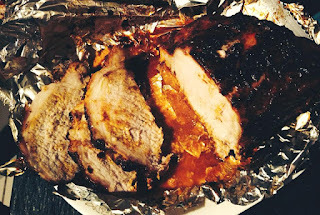 It is has been way too long since I last blogged. It hasn't been because I haven't wanted to, but because I simply haven't been fishing. Early last month, I developed a pain in my shoulder and neck area. I am not sure how it happened exactly, but I managed to strain the rhomboid muscle in my right shoulder. The rhomboid connects the shoulder blade to the spine. So not only was I experiencing shoulder pain, but it was affecting the nerves around my spine - at times leading to jolting shocks of agony. The recovery period is 4-8 weeks, of which I am about 5 weeks in, although I probably haven't always taken it as easily as my doctor (or in this case, nurse practitioner wife) would recommend. Thankfully, it is feeling pretty good now, with only a dull soreness at times, so I am optimistic that it will be fully healed by the end of August. That being said, the fishing bug has hit me full bore! I've managed to offset my fishing fanatics with gardening, canning, house building, cooking, and a bit of fly fishing - on top of the typical work load. 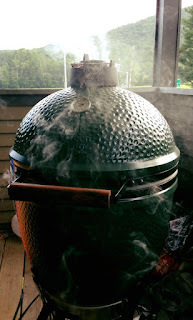 Just before the injury, Mary May and Johanna (my mother-in-law) got me a Big Green Egg. MM and I had been eyeing one up for some time, but always seemed to put it off for one reason or another. But after using it for a month, I am regretting not spluring on one sooner. The flavor it produces is unreal, especially combined with some soaked cherry or oak from the back 40. It is also pretty easy to control the temperature once you get the hang of it, and it maintains both high and low temps very well. 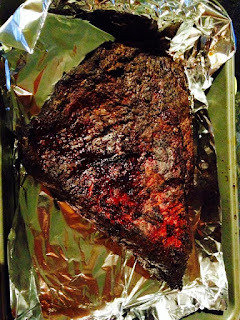 Our first cook was a 4.5 hour, low temp, smoked brisket. The picture says it all! The Big Green Alien Spacecraft Egg has landed...and it is smoking! We've also done a whole chicken, chicken sausage, pork sausage, pork chops, pork loin, cheese, venison loin, and probably others that I am forgetting. I honestly can't get enough! Here are a few more pics from the BGE. In addition to stuffing our faces, we've been doing a ton of food preservation from the garden. 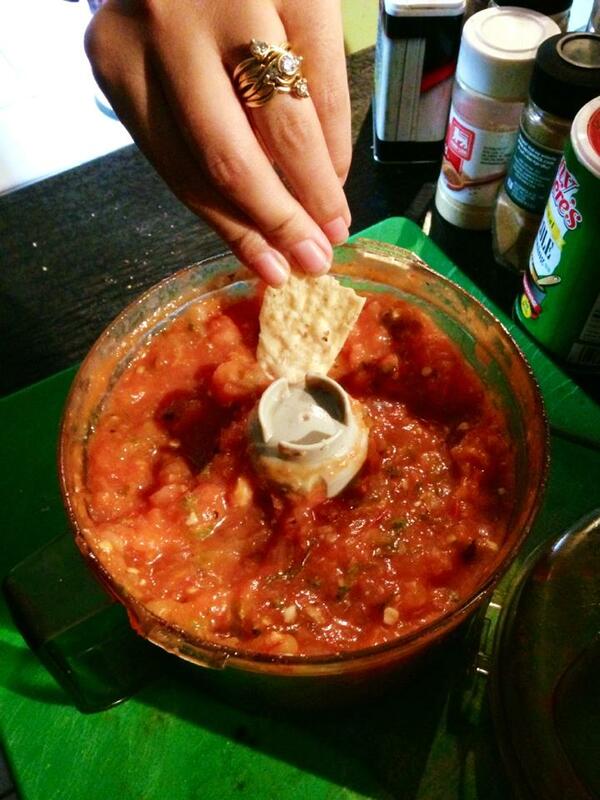 We even had our first batch of salsa early this year...and it was darn good! 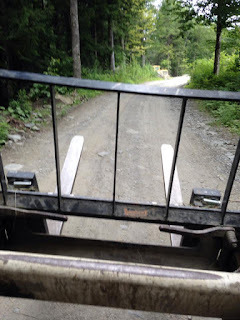 We've done some traveling too - including a weekend in Vermont, which was highlighted by a Lake Champlain boat ride and swim, as well as an Avett Brothers concert, and 5 days at the Rhode Island coast, where we ate heaps of seafood and soaked up the sun. On that note, I'll just leave you with some fun/yummy/interesting photos from the past month or so. And what is summer without a few fireworks! The good news is that if you are jonesing for some fishing on MPF, I should be back at full speed by September. However, between now and then, I should have a couple fishing related blogs that share some of my experiences and knowledge with y'all. Until next time, tight lines!